ProPaidPlays Soundcloud & others - UNTILL MAY 2019 ! TrafBot v2.6 - incl. lifelong working license !! Control & generate traffic on u're soundcloud plays, downloads, likes, followers, reposts and other options. 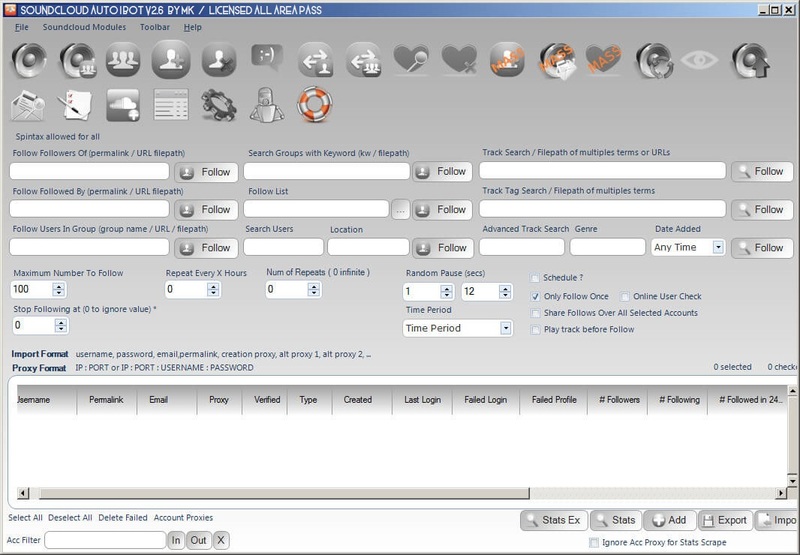 This is a 'bot' that i am selling, the program/software is licensed to you for using it when u buy it.